The Laurel of Asheville:The Arts and Culture of Communities across the Mountains in its February issue gave Women's Spaces Women's Places a half page review with a photo of the book cover. Celia Miles said, "I think The Laurel is absolutely the most gorgeous of Asheville's magazines, amazing photography and articles geared to the arts and "fine living," generally. Each issue has a page featuring two books; with us this month was Tracey Schmidt, poet and photographer, author of "I Have Fallen in Love with the World." A large number of Netwest members have work in this beautiful anthology edited by Celia Miles and Nancy Dillingham. 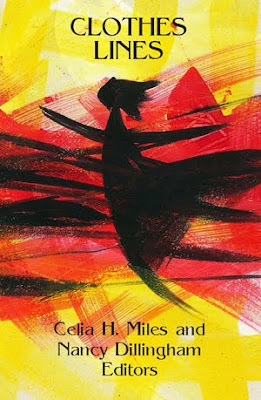 Celia Miles who along with Nancy Dillingham has co-edited three anthologies of the work of women writers in Western North Carolina: Christmas Presence, Clothes Lines, and Women’s Spaces Women’s Places, has a new book coming out in 2013. Celia is trying something new for her -- a blog tour, The Next Big Thing, with her latest post being a number of answers to interview questions on the subject of Sarranda's Heart. I found it very interesting. I think you will also. 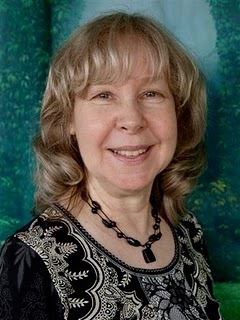 Visit Celia Miles at http://celiamiles.com/ to see the books she has authored and the anthologies she has published. Interview with Celia Miles, Author and Editor. ﻿﻿﻿ ﻿﻿﻿ Glenda Beall: I am delighted to have the opportunity to share an interview with Celia Miles. 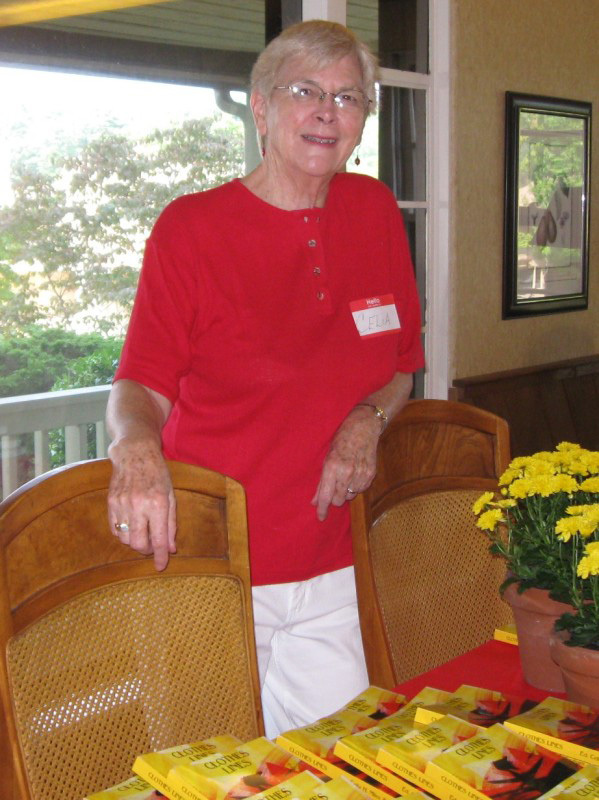 Many of us know her novels and the three anthologies she co-edited with Nancy Dillingham. Welcome to Netwest Writers, Celia. Thank you, Glenda, for inviting me to answer questions about my writing and background. *You are a native of Canton, NC? Tell us about growing up there. Where did you go to school? I know you are an editor and a writer. What was your major in college? Actually I’m a native of Jackson County, born back beyond Dillsboro. We moved “to town” (Morganton) after my sixth grade (and had the indoor amenities for the first time) and to Canton in my eighth grade. My father was moved “from the woods” to work at the paper mill and I finished high school there. From there, it was Brevard College, then Berea, UNC-Chapel Hill, and later, to IUP in Pennsylvania. My Mattie’s Girl: An Appalachian Childhood, though not my life, is true to the time and place of my first twelve years, summed up, in someone’s phrase: “too poor to know any better.” I majored in English and taught at Brevard College, then at Asheville-Buncombe Technical Community College for thirty years. In high school, I wrote a long novel, on Blue Horse notebook paper, set as far away as possible with a hero as handsome as possible (probably modeled on Mark Trail (Anyone remember him? or have I invented him? ); thankfully that missile has long since disappeared. For years my writing was academic and I co-authored a textbook for the two-year college market: Writing Technical Reports (Glencoe/McGraw-Hill, 1990). *How many novels have you written? What was the first one? I have five novels. The first, Mattie’s Girl, was a collection of vignettes, individual episodes, until a class with Bill Brooks got it moving toward the novel form (“create a hook,” “introduce conflict immediately,” etc.). I smile when I count the two “sweet” (as opposed to “steamy”) romances; A Thyme for Love grew out of the romance novel class—and in it I included my interest in photography and herbs. (a friend commented on seeing the book, “I can’t believe Celia misspelled a word in the title!”) Then came its sequel: ThymeTable Mill in which I incorporated my love of old grist mills, along with another love story of older people. Both set around Asheville. Sarranda is a historical novel set before, during, after the Civil War, a story of survival in brutal times. Surprising me, Sarranda appeared to the heroine of ThymeTable Mill who is restoring an old mill, saying essentially “this was my grandfather’s mill…I can rest now that I know it’s in good hands.” She demanded a novel of her own and I finished it in six weeks. Its sequel is taking much longer! *ThymeTable Mill and Sarranda, describe them. ThymeTable Mill is contemporary but the heroine goes around to various old grist mills in this area, interviewing and photographing, with emphasis on the Francis Mill in Haywood County. Sarranda—definitely historical—is the story of a strong woman, born around 1840, coping in the worst of times, during and following the Civil War. *Do you enjoy researching your books? I don’t particularly enjoy research, but I do enjoy having the internet to make it easy: finding NC regiments in the Civil War, prison camps, etc. For Sarranda’s Heart, the sequel, I had to find, among other things, if home canning and cook stoves would have been likely in western NC in 1881. And I love learning of old mills, finding, and photographing them and invite anyone with information about them to let me know. *You have an abiding interest in stone circles such as Stonehenge, but you seem to like the smaller ones in rural areas. They can be found in several countries, I think. How many countries have you visited to see the stone circles and what intrigues you about them? I first saw Stonehenge and the smaller stones but larger circle of Avebury in1969; since then we’ve found dozens of stone circles and burial sites, mostly in England, Wales, Scotland, Ireland, but also in Portugal and Malta—and even (so says the tourist literature) in New Hampshire! Without claiming much knowledge or understanding of how and why these sites were constructed, I simply know there is a mystique about them, unconnected (for me) to the mechanics and mathematics of their existence. Partly, I appreciate that scientific certainty is not possible, that they embody a community/cultural belief system that, like the great cathedrals, created them. Tourism and commercialism do not ultimately detract from or destroy the “feeling” that surrounds them. Since I’m not a “city person,” there is great satisfaction in tramping over moors, through sheep, through peat bogs to come upon a lesser-known circle—finally locating it from that tiny dot on a map. I find it hard to articulate what draws me to the circles time and time again. In Journey to Stenness a contemporary woman is caught in and surrenders to the allure of the two major circles on the island of Orkney. The emotions engendered by her visits to them must speak for me. We will be returning to many of the circles in the Scottish islands this spring…I can only hope for a creative time. *Women writers complain about their lack of time to write. Between family needs, and other things in life, many women feel guilty taking time to write. Did you wait until you retired to begin your writing career? I confess to having plenty of time to write now (retired and no children) and wish I made use of it every day, but I don’t. I feel guilty if I’m not writing but not guilty enough to set a schedule and keep to it. I started writing in the 1990s, but all my books have been published since I retired and all are “self published”/“print on demand.” In a very short time with Mattie’s Girl, I found I had not the patience to jump through the hoops to get an agent and a traditional publisher. I’ve never regretted my decision and encourage others who have a well-written story or collection of poetry or short stories to go that route…and e-publishing, too. *I’ve heard that fiction writers often draw from their own lives and experiences to create characters and plots. Is that true for you? A writer cannot totally separate self from what is created; whether it’s an idea, an image, a belief, something of the writer is reflected—precisely what and to what degree don’t really matter. The work should stand on its own, without biographical reference; knowing the writer may make the work “more interesting” to a reader who knows the author, but actually the reader brings herself to the work as does the writer. My fiction certainly illustrates my interests and travels, but I don’t consciously base my characters on real people or any one real person; and my plots just develop from the characters—thank goodness. *Do you have a special place and time for your writing? *Do you keep a writing journal or a journal of any kind? I have but I don’t. Times of stress or trauma have been when I’ve felt the need to journal; I try to keep a list of books I’m reading, but now I forget that. In general, though, I think writing daily in a journal or otherwise, is a great habit and that something worthy comes out of it. *Some of the south’s best writers have had dysfunctional families, mental issues, or other problems. You seem perfectly normal, Celia; do you think a writer has to have lived a tumultuous life? Wonderful question—can a southern woman writer be from a “normal” family (however defined)? Absolutely. A family member calls me “sensible Celia” (at which I cringe but can’t deny). Surely suffering, whether mental, emotional, or physical, can precipitate the urge to write, but it isn’t necessary to set yourself on fire in order to describe the experience or to have children in order to create a fictional mother. The question deserves (and has received in other places, I’m sure) an entire essay. *You and Nancy Dillingham have published three anthologies for women writers. Why did you do the first one? Do you plan to do any more anthologies? Nancy and I worked together for a decade (more or less) at AB Tech on the faculty/staff literary magazine, Victoria Press, and after we left, we often met to discuss writing and reading. Exactly why and how the idea came about is not clear to me now (we sometimes laugh and wonder the same thing). We knew some women writers, knew they deserved to be read, and, I suppose, just set ourselves the challenge of putting a book together, luckily not knowing all the ramifications and work involved. Christmas Presence was fun, kept our editing skills honed, made new friends for us—and before we knew it, we’d decided on a second anthology. Clothes Lines almost overwhelmed us with seventy-five writers, so we took a year off and then decided on one more, to complete a kind of “trinity”: Women’s Spaces Women’s Places. We’ve said “no more.” But women are famous for changing their minds. *Some writers included in the anthologies said they were disappointed that they didn’t get a free book or a discount so they could buy books to sell at reading, etc. Why should a writer submit to your anthologies? What’s in it for them? Good questions but first a disclaimer: every writer received a free book (at the launch party, by mail, or hand delivered). For the first two anthologies, we did give a discount to authors but by the third one, we wanted to be able to pay for the publication first! We financed the books ourselves, no grants, donations, or fundraisers were involved. We never expected to “make money,” but did want to pay off the printers. That we have done. Why submit? What’s in it for the author? Each writer would have to answer that for herself. I submit to anthologies and contests for validation and gratification—to be read by like-minded writers (not New Yorker readers). If I think I have something to say and I judge it worthy (I have lots of starts and stopped), fiction or non-, I like to see it in print. *You have been traveling abroad recently. Are you using these trips for research on future novels? I don’t use them in terms of keeping track of expenses for IRS purposes. Actually I try to empty my mind of obligations (such as finishing a work) while gone…and into an empty mind may come an idea or image that stays with me and finds its way into something. Several short stories (in the collections On a Slant and Islands One and All) are set in other countries: Greece, England, the Scottish islands, Portugal, so I soaked up something that generated a story. But I don’t go for that reason. *Did you start with an agent? * Who is your publisher? I’ve never had an agent. I’ve found my niche in self-publishing and, believe it or not, have no desire to try for “the big time,” which most authors find isn’t so grand after all. Infinitypublishing.com has five of my books, two of which are/will be available as e-books. For the first two anthologies we used Catawba in Charlotte, since gone out of business. For the last anthology, we wanted to stay local; it was printed by Biltmore Solutions Group (formerly Biltmore Press) in Asheville. It and Journey to Stenness are published under the imprint, Stone Ivy Press. *What advice can you give to struggling writers who have yet to publish that first book? I’d say: do some investigating of traditional, online, and self-publishing opportunities; decide how much time and money you want to invest; choose what’s important (knowing the attitudes and problems inherent in whichever publishing choice you make); and then, do it. It can’t hurt to try, to send out, to make an effort. Of course, before thinking “marketing/publishing,” think quality and editing. It seems to me that now, in workshops and blogs, the emphasis is more on marketing cleverly than on writing well, but that may be just my age showing. *Tell us where we can find and order your books online. You can order all the books from my website: http://www.celiamiles.com/. Amazon has Islands One and All; Mattie’s Girl and Sarranda are available online from http://www.buybooksontheweb.com/ (Infinity’s bookstore) and from Amazon. Independent bookstores around western NC have hardcopies—with my gratitude. *Thank you so much, Celia, for taking time from your busy schedule to give this interview for Netwest Writers. THIS MONTH'S SYLVA COFFEE WITH THE POETS (10:30 A.M. , MAY 19, AT CITY LIGHTS BOOKSTORE) WILL WELCOME POET NANCY DILLINGHAM AND FICTION WRITER CELIA MILES. SHE AND CELIA ARE THE EDITORS OF THE ANTHOLOGIES CHRISTMAS PRESENCE, CLOTHESLINES AND A FORTHCOMING ANTHOLOGY FOCUSED ON WOMEN FINDING THEIR "PLACE." NANCY AND CELIA WILL DISCUSS THEIR ADVENTURES AS EDITORS, AND NANCY WILL READ FROM HER NEW BOOK OF POETRY. THIS PROMISES TO BE A FASCINATING PROGRAM, SO PLEASE JOIN US FOR COFFEE AND TREATS, BOTH EDIBLE AND LITERARY. Celia's novels are A Thyme for Love, ThymeTable Mill, Mattie’s Girl: An Appalachian Childhood, Sarranda, and (in 2010) Journey to Stenness. Two short story collections are On a Slant: A Collection of Stories and Islands One and All: Stories and Otherwise. Nancy's books of poetry include include Home, recently nominated for a SIBA book Award in Poetry. Here's an interesting post from Kaye w. Barley's blog. http://www.meanderingsandmuses.com/2010/09/movin-on-by-nancy-dillingham.html. On behalf of the Candy Maier Scholarship Fund for Women Writers Board, we want to thank all of you who came from points west--from Waynesville and Murphy and Hiawasee--for this "first as far as we know" book fair featuring local and self-published authors. It was a long way to come for an uncertain outcome; it was a hot day and a crowded venue and your sales may not have been great. We hope, though, that visiting with your fellow writers and meeting new friends helped compensate for your time and effort. For the Candy Fund, the event was a success. 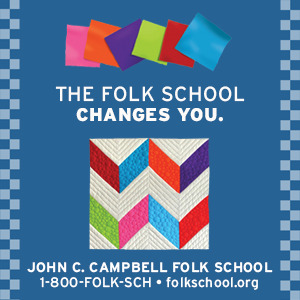 In addition to just plain enjoying seeing so many writers assembled and talking books and publishing, financially the Candy Fund can now award many scholarships in support of women taking courses, classes, workshop involving shared writing experiences. 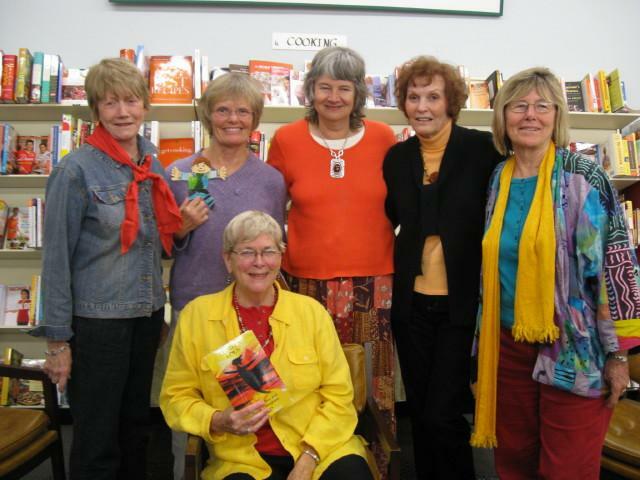 These writers signed the anthology, Clothes Lines, edited by Celia Miles and Nancy Dillingham, at Highlands Books. From Birkenstocks to bras, red shoes to pink pants suits, prom dresses to funeral gown, our garments, our mother's closet, 75 women writers from western NC reflect in poetry, memoir, story, and essay on their fascination and feeling for the clothes they wear, remember, revere, or reject. Recently I acquired a copy of Celia Miles and Nancy Dillingham's new anthology, Clothes Lines, a book filled with stories and poems about, what else, clothes. Among the writers I know in this book are Nancy Sales Cash, author of three novels and she is working on number four. 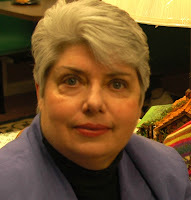 Nancy is a native of Murphy, NC and spends much time in the Cherokee and Clay county areas. We met at the Daily Grind and Curiosity Shop Bookstore, had a cup of coffee and discussed readings of Clothes Lines and my poetry book Now Might As Well Be Then. 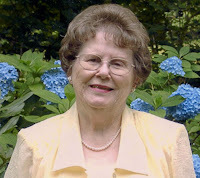 Some of the writers in the far southwest area of North Carolina and north Georgia who have work in Clothes Lines are Kathryn Stripling Byer, Joyce Foster, Nancy Sales Cash, Karen Paul Holmes, Carole R. Thompson, Glenda Barrett, Jo Carolyn Beebe, Janice Townley Moore, Blanche Ledford and Brenda Kay Ledford, and Peg Russell. A number of our Netwest members throughout the region also appear in this interesting book by 75 western North Carolina Women. Celia and Nancy published Christmas Presence last year through Catawba Press and used the same press for Clothes Lines. The book is made more interesting by the use of a few black and white pictures all done by Mary Alice Ramsey. Be on the lookout for readings from this anthology in your town. More about this book tomorrow. Celia Miles and Nancy Dillingham want your stories, memoirs, essays/reflections, poems for an anthology about the garments we wear—metaphorically, symbolically, literally---from hair bow to bra to Birkenstocks, from christening gown to prom dress, from waitress uniform to nine-to-five stiletto heels. We expect an October 2009 publication date, in time to market the book alongside the 2008 Christmas Presence. We are excited about compiling an interesting and entertaining collection of theme-related work from women writers in this region. We know you’re out there! So, we invite you to look into your clothes closet (past or present), and if you have a story to tell, a memory to share, a point of view to espouse, send it along. We promise to treat it with care. Brenda Kay Ledford of Hayesville, NC is one of the 45 women writers in the anthology Christmas Presence, edited by Celia Miles and Nancy Dillingham. Glenda Barrett of Hiawassee, GA wrote "The French Harp" a true story about her beloved grandmother, which is included in Christmas Presence. Carole Thompson of Blairsville, GA Netwest Rep. Her story is "A Bag of Sugar for Paula" an inspiring story that takes place in a most unlikely place - a grocery store. 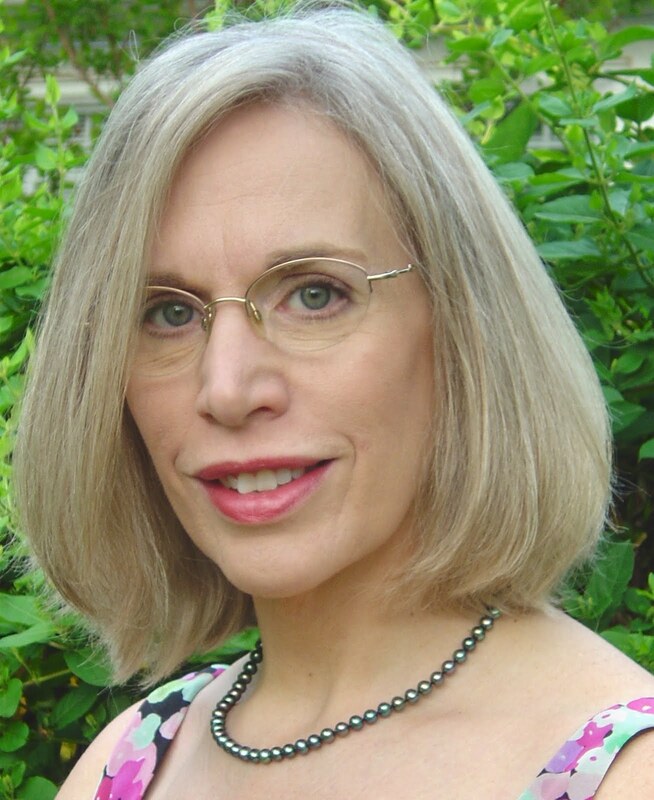 Also on hand Saturday for signing is Cherokee County native, Nancy Sales Cash, author of Ritual River. 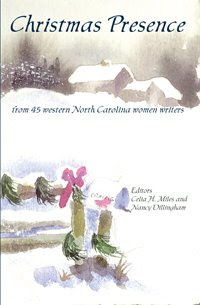 Thanks to editors Celia Miles and Nancy Dillingham, forty-five western North Carolina women writers have had their Christmas stories, poetry, essays, or memoirs, published in an anthology titled "Christmas Presence." 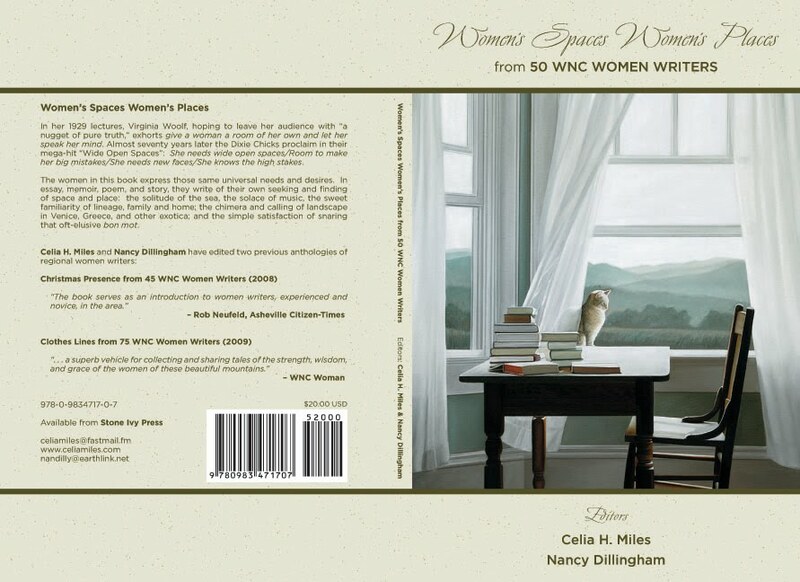 It is a beautifully bound book "filled with the unique voices of women writers who have roots in and connections to western North Carolina. These works add seasoning to the cultural landscape of a region already rich in custom and lore. Most of the writers are members of the NCWN and include Glenda Barrett, Celia Miles, Nancy Dillingham, Dee Dee Parker, Nancy Purcell, Susan Snowden, Barbara Ledford Wright, Lana Hendershott, to name a few. The book, "Christmas Presence," can be ordered from Catawba Publishing Company at (704) 717-8452 or http://www.catawbapublishing.com/. It will be available in local book stores and if not, they can get it for you. ISBN #: 978-1-59712-259-7. The stories will bring back fond holiday memories and the book would make a fine gift for a reading friend. The signings are listed below--jus ignore the first two. We're hoping for an Osondu signing in Waynesville and one in Marshall. 10-12:00, Nov. 8, Curiosity Shop, 48 Valley River Ave., Murphy (835-7433)---with Nancy Sales Cash; Carole, Barbara, Brenda, others in the area, please come and join us; also 1:00-3:00 in Andrews, Curiosity Shop. 2-4:00, Dec. 2, Hendersonville Library--Sherry Austin will be moderating this event; refreshments offered; all you H'ville writers, let us know if you wish to read; a two-hour slot but an hour or so of readings should be sufficient. Susan Snowden is doing publicity in Henderson County. Authors' bios reveal they have more than 45 published books among them. Editor Celia Miles and Nancy Purcell will be reading stories from "Christmas Presence" at Highland Book Store in Brevard, across the street from the college, between 10am and 12 noon on October 25. Please join us for this early touch of holiday spirit. The event will be in conjunction with Brevard College's Homecoming Weekend. Books will be available for sale.